We’ve all heard about the benefits of meditation and how it can have a positive and sometimes profound effect on your physical and emotional health. Lately I’ve been seeing a lot of articles and books on topics like doga (yoga with dogs), Reiki and yes, even meditating with your dog. Hmm, can you really meditate with your dog? I learned Transcendental Meditation® (TM) when I was a teenage and although I don’t meditate on a regular basis, I do rely on it for those times when I’m super stressed about something and it really helps. But when I first heard about the concept of meditating with your dog, I had to laugh. Me, meditating with Haley? The dog that runs to grab the squeakiest toy anytime I get on the floor and attempt to do stretching exercises? She growls, baits me with her Mt. Drool bottle and occasionally even pokes me in the stomach with it. I guess I’m partially to blame though, I usually take the bait because it’s more fun to play than exercise. I suppose I could wait until Haley’s in a calm mood before trying to meditate with her but I know as soon as I would start to relax, she would probably hear something outside or the UPS man would decide to show up on my doorstep. Have you ever been resting quietly next to your dog when someone rings your doorbell? I don’t know about your dog, but Haley suddenly turns into some kind of superhero dog which includes leaping from the bed in a single bound after barking directly in my ear! That’s not the most peaceful way of concluding a meditation session and I’m sure something like that would happen or perhaps she would get bored and perform her whining crescendo routine. Do Dogs Even Know How to Meditate? Yes, I believe dogs are natural meditators. I think for the most part, they live in the moment and seem to enjoy settling into a quiet state. Haley will often be awake but kind of zoned out while staring into space. It’s not so much that she’s tired and ready to fall asleep, she’s just very relaxed and at peace with her surroundings. This seems to be natural for most dogs and probably why we’re so motivated to help anxious or fearful dogs, it’s not their natural state, unlike it may be for some humans that have an excitable or nervous natural state. Is It Possible to Meditate With a Dog? I think we meditate with our dogs all the time, without realizing it. Meditation is just quieting the mind and attempting to slow or stop distracting thoughts. If I’m having a stressful day and decide to lie down and pet Haley, it instantly helps me relax and after a few minutes I may even start breathing in sync with her. Another way we meditate with our dogs is by just sitting together in a nice spot and enjoying each other’s company and calm energy. It’s like being with someone you’re very comfortable with, you don’t have to speak or interact, you can just quietly “be” together. 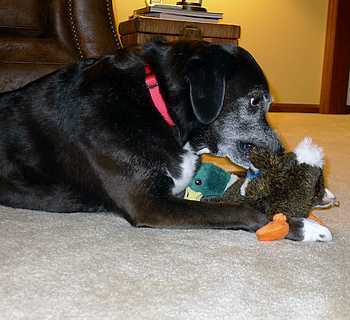 Do you find it soothing to watch your dog quietly play with a toy or chew on a bone? You might realize that you’re not even thinking about your dog or really even “watching” them but your mind is quiet and you have a very peaceful feeling. That’s also a form of meditation, similar to watching fish swim in a tank. These are all different types of meditation, but if you want to take things to the next level and try an actual meditation session with your dog, try the steps below! Choose a time of day when you have 20-30 minutes of uninterrupted time. Find a quiet place and get into a comfortable position next to your dog. Place your hand on your dog where you can feel the rise and fall of their chest when they breathe. Focus on sharing positive, loving energy through your touch. 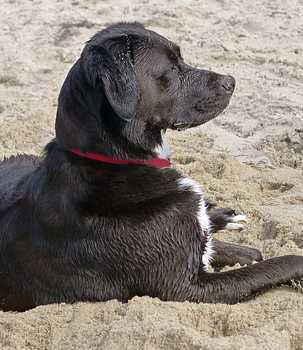 Focus on slowing your breathing, taking longer and slower breaths as you sit with your dog. You may find that your breathing begins to sync with your dog’s breathing but it’s fine if it doesn’t. Try to clear your mind of any thoughts but don’t get stressed or fight against them. Simply let them come in, then let them go just as easily. This part takes a little practice but it gets easier the more you do it. Finish the session by gently stroking your dog and offering some kind words. Good! You’re still here and I haven’t scared you off yet with all this new-age talk. I have to admit, I don’t do this very often, but I have tried it many times and it’s very relaxing and Haley seems to enjoy it too. If you’re new to meditating, remember that there are no rules, just enjoy being in the moment with your dog without any expectations. If your pup gets up and leaves, they may come back in a few minutes to rejoin you. To answer the question, “Can you meditate with your dog?” I have to say the answer is both yes and no. I don’t think I could meditate with Haley in the traditional sense because she would probably be too distracting, but you can definitely include your pup in special sessions that are beneficial for both of you. Sharing calm energy with a dog is an excellent way to build trust and create a strong bond, especially with dogs that are fearful or anxious. Some people claim that our dogs are a mirror of ourselves and maybe there’s some truth to that. I believe that dogs sense our energy and find it easier to relax when we’re relaxed. I also think they prefer to be around people that are calm in nature rather than people that are nervous or overly excited by nature. If you’re one of those anxious types that would like to learn to be more relaxed, give meditation a try. If you need more convincing, check out these 76 scientific reasons you should be meditating. 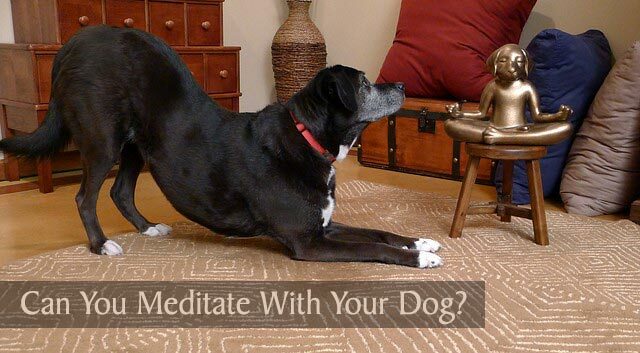 Do you meditate with your dog? Maybe you do and don’t even realize it. No meditating here, but we do have a bit of a togetherness think tank that often goes on together. I think it bonds us. I’m sure of that, Emma! You couldn’t capture all of those wonderful images without being bonded and in sync. This was so interesting. I am right there with you! There is no way I could do the whole traditional meditation thing with my huskies, because the first noise at the door, they would be gone, BUT I do often find myself laying next to one of them and just sort of forget about everything. 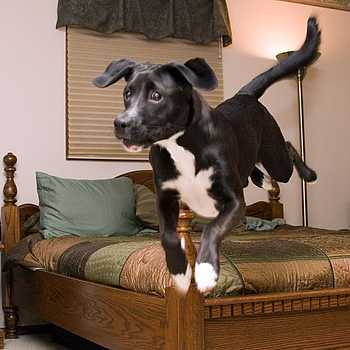 Dogs can instantly go from sound asleep to wide awake and ready for action. It’s kind of terrifying when it happens right next to your head when you’re relaxed though, haha! I love this! I may have to try it with Cooper… anything that could lessen some of his anxiety! I wish I were more disciplined with practicing meditation, but this post inspires me to try with the boys. Also, LOVE that little sculpture in the first pic. Thanks, Maggie! Let me know what happens if you decide to try it with Cooper. It’s been hard for me to get in the habit of meditating on a regular basis too. I guess it’s like anything else, once you make time for it, it’s more likely to become a habit. I found the statue a few months ago while shopping at Pier 1 Imports and it makes me smile every time I look at it! Here’s a link if you’re interested in buying one. Yes, now we just need to get the squirrels to meditate. ? Having a canine cuddle always calms me! It always works for me too! It also reminds me to live more in the moment like dogs do, instead of worrying about the future. I gotta say that I find it easier to meditate with my cats. My dogs can morph from sound asleep to whirling dervish in 2 seconds flat, just like yours, and I am always slightly on edge when we’re sitting quietly. I don’t know when the next outburst will come! But a purring cat seems like instant relaxation to me. Plus, my cats are lazy and pretty much don’t bolt after anything. So when they are parked, they stay parked. Makes for a much easier session. I can definitely see that cats would be easier to meditate with. Their calm purring is so soothing, almost like a mantra. ? I do find it relaxing to close my eyes and snuggle with my dogs. It is somewhat like meditating to focus on their soft fur and the rise and fall of their chest as they breathe. I’ve never noticed if my breathing syncs with theirs – I’ll pay attention to that next time. Focusing on their fur is a great idea! ? You’ll have to let me know if you notice the syncing of breathing. What a wonderful idea. I am sure my Lilly would be more than happy to share a session with me. I will try to follow your steps and see how it goes. Great! Lilly sounds like the perfect, calm meditating partner. ? It would be interesting to try a doga class. I’m not sure how Haley would do with all the other dogs though. I think she would be more interested in sniffing and playing than relaxing or trying different doga positions. I bet it’s funny watching the newbie dogs, lol! Haha! Cocoa sounds like she has tons of energy but I’m sure she has some calm, downtime once in awhile. ? Great post! But I must confess… the hubs is better at this than I am. He’ll go out in our backyard and sit and watch the sunset and just *sit*. He loves it when Rita joins him, although she doesn’t always. When I go out to join him/them, I have to bring along my phone or the paper or my book or my iPad. I have a hard time just sitting and being. Guess I’ll have to try it! A good time to try it is when you’re feeling overloaded or just not able to focus that well. Just a short 20 minutes of meditation can really help clear the mind and leave you more energized and focused afterwards. 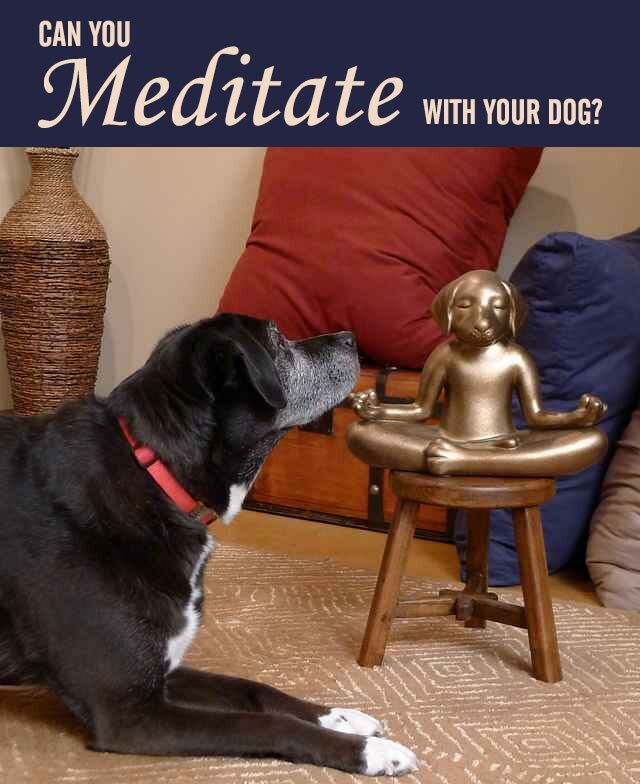 I like the idea of meditating with my dog, but we haven’t tried it. I accidently stumbled onto pet massage when Bailey was still a puppy and I was amazed at the effect it had on her. She was so relaxed she could hardly stand. We still use the technique. I’m really intrigued by both pet message and Reiki. Haley had a free Reiki session at a pet event this fall and I was amazed at how relaxed she was considering we were surrounded by hundreds of people with their dogs. I have to admit I’m a little skeptical of it, especially the remote Reiki sessions, but pet massages are so beneficial. Jack always lies with me when I’m doing yoga or stretching so I think he would be pretty good at this. Haley could take a few lessons from Jack on learning to relax, lol! ? Love that first photo. Meditating would be nice but each time I get on the floor they think it’s play time and they all maul me. Haha! Yes, I can totally relate to that. ? Like you said in the post, I guess Ace and I do sort of “meditate” together without really realizing it. I spend a lot of time just lying next to him on the ground. Ha! It is definitely a big stress reliever for me. But as for actual meditation, I’ve only tried a couple of times in my life. I do tend to get stressed out, though, so I should probably make a point to set aside some time for this. I think sitting outside with your dog and just hanging out quietly together is especially relaxing. There’s something truly special about connecting with nature while with your dog. ? I had sort of a meditating experience with Missy yesterday when I got back from the dentist. I had to have a small cavity filled (the doc referred to it as “cute”…), meaning a good portion of my lower left face was numb for about 3 hours post dentist visit. My energy levels were really low, and I decided to lie down on the couch, where Missy joined me. She ended up snuggling with me for about 2 hours, her head resting on my chest, licking my face every now & then. I had covered both of us with a blanket, so that only her head looked out. It must have been really cute, but I was too exhausted to even try and take a selfie. Aw, Missy must be very much in tune with you and it’s amazing how she knew you needed some TLC. Those moments are truly special. I remember a couple of times when Haley was there for me and it almost brings tears to my eyes when I think about them. It’s times like that when you just enjoy the moment, selfies be damned, lol! ?